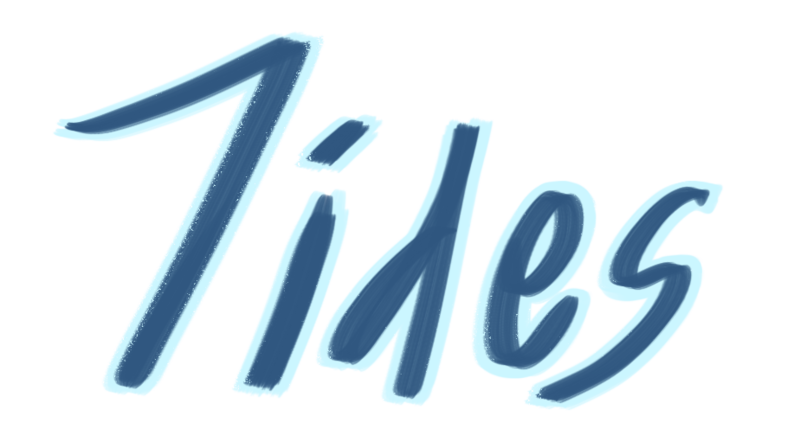 Tides is a science-forward science fiction audio drama created by Jesse Schuschu and Ayla Taylor. Tides was originally conceived as a short story, back when Jesse and Ayla were in college at the University of Pennsylvania. It languished unpublished for several years, until Ayla saw its potential as an audio drama. It has undergone a lot of changes since that initial incarnation and they are now happy to share it with the world. Dr. Winifred Eurus is member of the first manned expedition to Fons, an Earth-like moon wracked by extreme tidal waves due to its orbit around a nearby gas giant. When surveying ocean life her submarine is destroyed, leaving her alone to walk to higher ground before the wave comes back. Along the way, she makes notes about what she finds in the intertidal zone, and gradually realizes that some of the life there is more than what it seems. Episodes are released on the second Wednesday of each month. Season 1 has 8 episodes, and season two is projected to air in early 2019. Three seasons are planned. You can listen on most podcast application, such as ITunes, RadioPublic, or Spotify, or you can listen on our website. We have a Patreon and we are also part of RadioPublic's Paid Listen's program. We also sell merch through TeePublic. You can also support us by telling your friends about us! Fons is a moon orbiting the gas giant Volturnus, in a solar system far from Earth. Smaller than our planet and beset by magnetic storms and vicious tidal forces caused by proximity to its larger neighbor, nevertheless it is home to the only extraterrestrial life more complex than bacteria that humanity has yet found. The story takes place on the wide plain separating ocean and dry land, where twice a day - though the days are much longer - enormous waves sweep through the landscape and obliterate everything not evolved to survive these conditions. Dr. Winifred “Fred” Eurus: A curious and excitable xenobiologist, Fred is often more concerned with exploring the world around her than her own survival. What she lacks in social skills, she makes up for in scientific interest. While most of the story revolves around Dr. Eurus alone on the planet, there are several other important characters on the Stribog, the ship orbiting Fons. Dr. Victor Stevens is Fred's assistant, who often takes the brunt of her misanthropy. Dr. Robert Montague and Dr. Melissa Wang are some of the other scientists on the mission while Captian Ed Ricketts is the perpetually exasperated captain of the ship.